In the previous post, I mentioned doing some reflection of a Missions Theology built around the them of “Walking With.” I might not be the first to do this… I should read more. Anyway, in building towards Missions, I would like to start from looking at God’s relationship with us built around that theme. Genesis 3:8-9 describes God walking in the Garden. Not seeing Adam and Eve, He calls out to them. Since the previous chapters emphasized God’s power, this scene should not really be seen as describing a limited god. The scene appears to describe a relationality between God and Man. God would go through the Garden in such a way that Man could join. The failure of Man to join on this occasion suggests that on previous occasions things were different.Previous to this passage, God is shown as one who creates, governs, and sets limits. Here, however, there is the implication of a social bond that exists beyond creator and ruler. There seems to be a companionship-type relationship, choosing to join together and go in the same direction together. Sharing the same path. It seems as if God sets the meeting not Adam and Eve, but as we can see, the walking together is voluntary not forced. 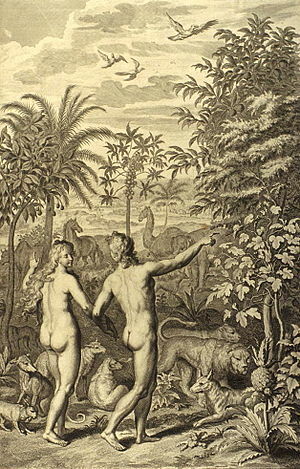 Genesis 3 describes the sin of Adam and Eve. It’s effect on the relationship with God is shown in Gen. 3:8-9. This time when God walks in the Garden, Adam and Even do not join, instead they hide. There is a breakdown in relationship. They are separate and not going in the same direction. There is now disagreement between God and Man. This seems to be the nature of sin… it tears apart our relationship with God (we soon see that Adam and Eve’s relationship is also strained). God walks and we do not join him but do our own thing. In Genesis 3, we might presume that the writer is seeking to write an actual event, although written poetically. Presumably God chose a theophany to be with Adam and Even in a way that they can understand and engage with. In Genesis 5:21-24, Enoch is twice described as walking with God. Genesis 6:9, Noah was described as walking with God. It seems reasonable to assume that these are metaphoric usages of the idea of “walking with.” Enoch walked with God and was taken into heaven. Noah walked with God and was tasked to save the world from destruction. With Enoch, walking with God seems to emphasize companionship and holiness. With Noah, it seems to emphasize holiness and common direction. Micah 6:8 describes the expectation that we “walk humbly with our God.” Humility describes more than an emotional state or attitude, but a position. God initiates the “walk” and allows us to join Him. By humbling, we are rejecting our own path, and allowing Him to choose the path. Further exposition on what is meant by “walking with” is seen in Deuteronomy 10:12-13. In this passage, walking with is linked with the idea that it is in “all His ways.” Thus, He is the guide of the way. The passage also connects this with loving God, serving God wholeheartedly, and obeying God, for our own good. So walking with Him is good for us. In other places in the Old Testament, the idea of walking with God is given in a different way… of taking the path set by God. In these passages, the focus is less on the relationality, then the direction and guidance given by God for our benefit. Psalm 23 is a well-known passage talking about God’s role in leading us “in paths of righteousness.” Isaiah 42:16 emphasizes God’s role as a guide, determining to make the path clearer and easier for those who follow Him. It also emphasizes His determination to be reliable… not to forsake His people. Proverbs 3:5-6 also talks about the role of God to direct and guide the path that we should go, but emphasizes that we must choose to trust Him. We cannot walk with God without placing our full trust in Him. There are a lot more passages that refer to this metaphor regarding our relationship with God, but I will stop here. Walking with God describes a holy companionship with God guiding us faithfully in the best way for us to God. God is relational but also our lord. We must humble ourselves, love, and obey Him, in choosing to faithfully go in the direction that He sets for us. That which breaks this form of relationship with God can be many things… but to dump it all into one bin, we can call it SIN. Understand that this doesn’t sound much like Missions yet… but I believe it is foundational. We will look a bit more at some foundational things in the next. This looks at the New Testament and emphasize Christ‘s relationship in terms of walking with us.